It’s hard to find an english written paper magazine dedicated only to food. And then, I got an invite to Crave Launch Party at the agnès b. le pain grillé at La Loggia in IFC Hong Kong on 29 April. Stepped into La Loggia with few good buddies. I always quite like its interior. It fills with elegantly sculpted mouldings; cozy sofas; soft lighting and old black&white framed photos of France. I especially like the library-like corridor as my favorite spot to dine-in amongst all seats. The whole place is a celebration of femininity. Soft velvets, muted shades of olive and rouge and i find it very cute as in they list a number of vineyards run by female wine maker such as the Chablis-Domain Oudin 2007. 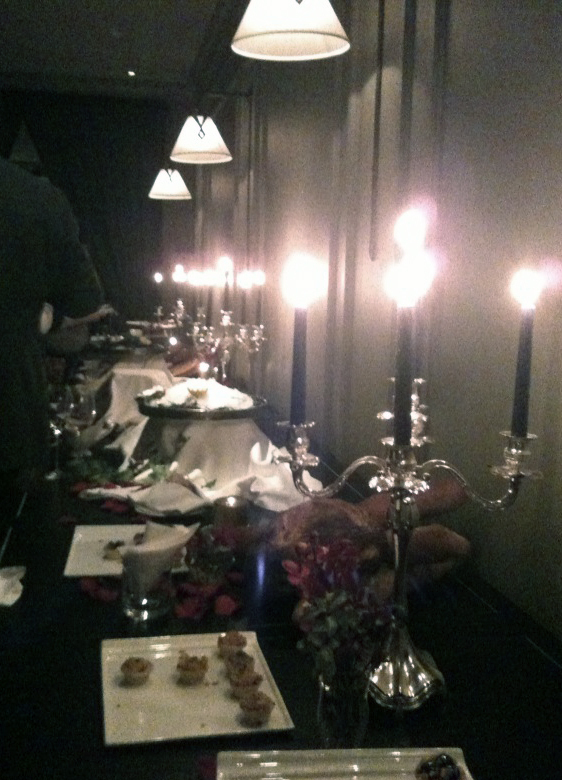 However, food there hasn’t been as impressive to me compare to the decor. Flipped through the 1st edition magazine while having glass of white and enjoying the mouth watering oysters serving at the food party, it opens with an 80-page highlighting the city’s trendiest eateries, chefs interviews and recipes. Not only restaurants in HK but also quite a few famous one around the world like the French Laundry and the most scientific Fat Duck. 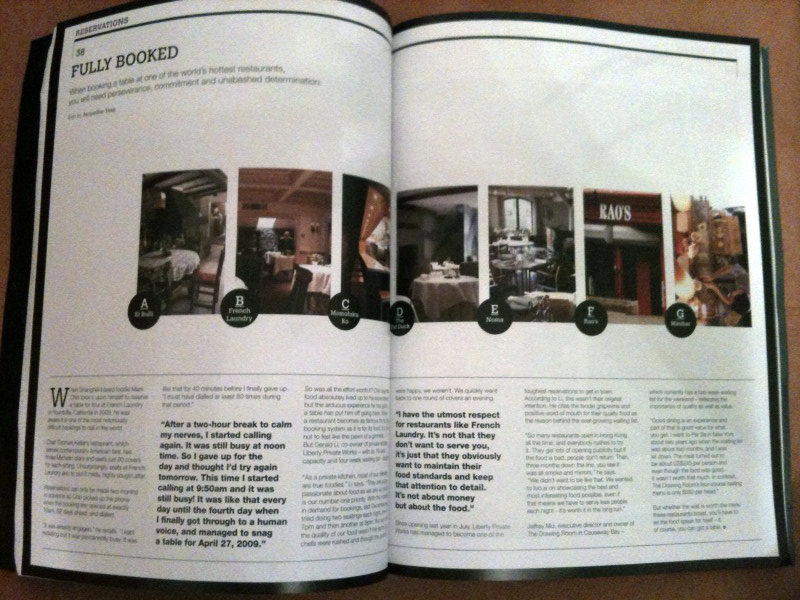 Crave is a Hong Kong’s modern breed of gastronomic magazine. Inspired by the idea of a foodie’s journal, features what’s hip and yummy written in English which makes expats and tourists an easy guide of food finally. However, I found Crave can probably put down the Chinese written name of restaurants on pages as well to better promote local chinese eateries and chinese culture. For bilingual readers like me, that’d be nice for us to cross reference. Besides haute couture eateries, I always fancy those pret-a-porte little jewels around corners of hidden alleys and hopefully can see some of those stories in it’s future editions. Will I buy Crave? For only hkd 20 and what I’ve seen on it’s premiere edition, yes, why not? I crave Crave. Previous Mutch : Fag or Fab?